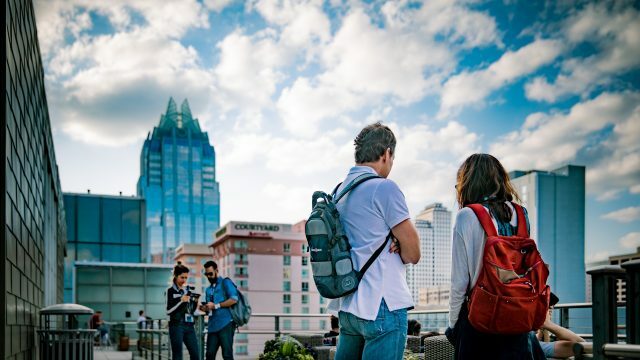 Finalize your plans to attend SXSW EDU 2018 by purchasing your registration badge. Your badge purchase provides access to all four days of learning, professional development, networking opportunities, and more. SXSW EDU cultivates and empowers a community of engaged stakeholders to advance teaching and learning. The four day Conference & Festival features compelling content for education professionals looking to connect and collaborate. Continue to explore programming scheduled for SXSW EDU and make your plans to join us March 5-8, 2018. Austin skyline photo by Cris DeWitt.